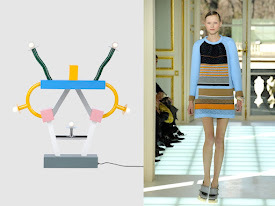 The more than famous Olivetti typewriter 'Valentine', designed by Ettore Sottsass e Perry A. 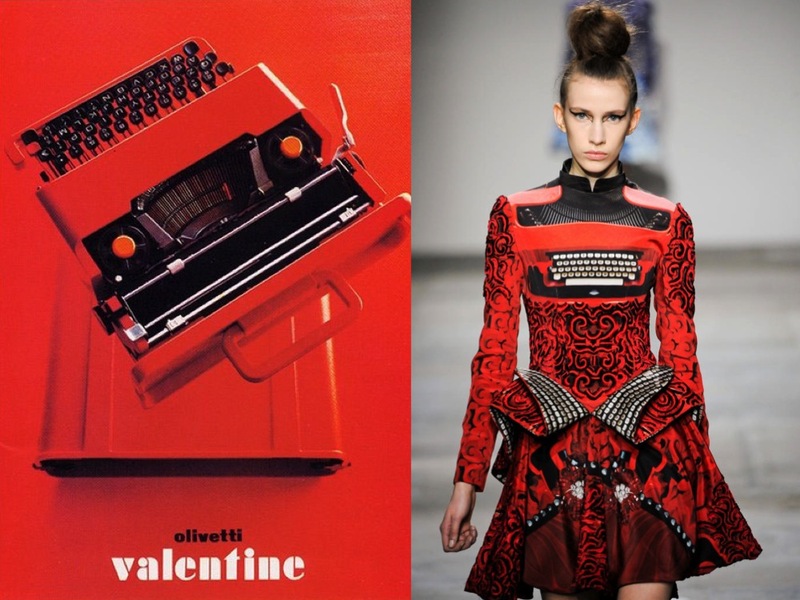 King in 1968, might have been an inspiration for this beautiful dress with a typewriter print on it by Mary Katrantzou for FW 2012//13. 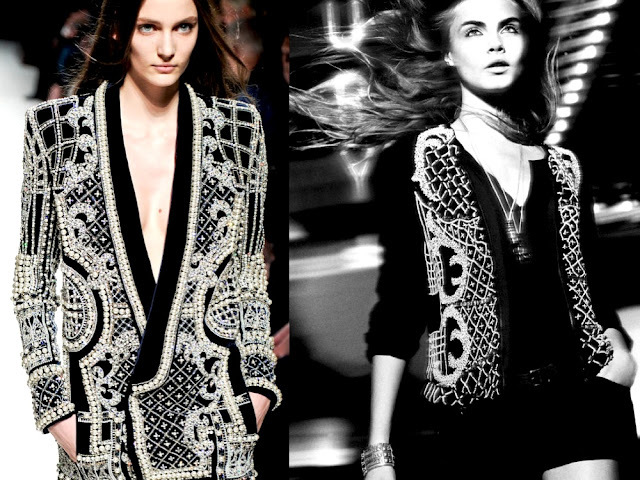 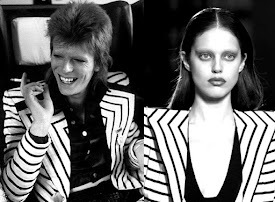 A very special and beautiful Balmain jacket for FW 2012//13, embellished and embroidered in a Fabergé egg-style with thousands of pearls and crystals [left]... and a Zara knock-off for their 'cheeper' TRF label [right], available in the stores within the same season. 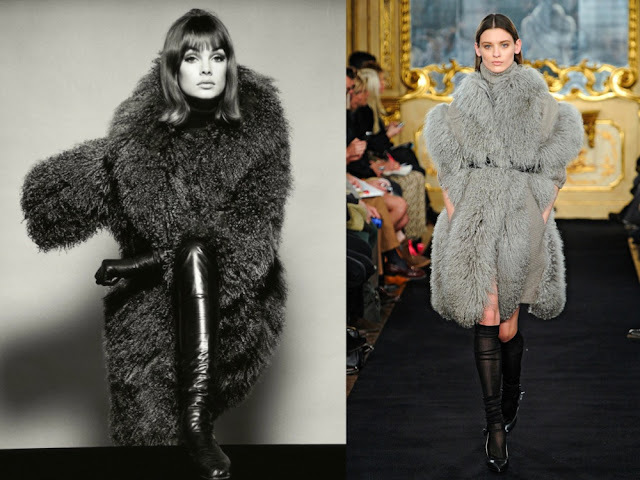 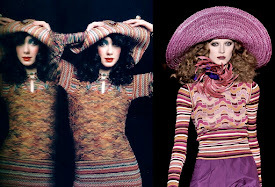 The beautiful model and fashion icon Jean Shrimpton wearing a typical sixties fake fur coat, photographed in 1964 by David Bailey [left]... and Alessandro dell'Acqua's debut collection for FW 2012//13 for the Italian knitwear label Les Copains [right]. 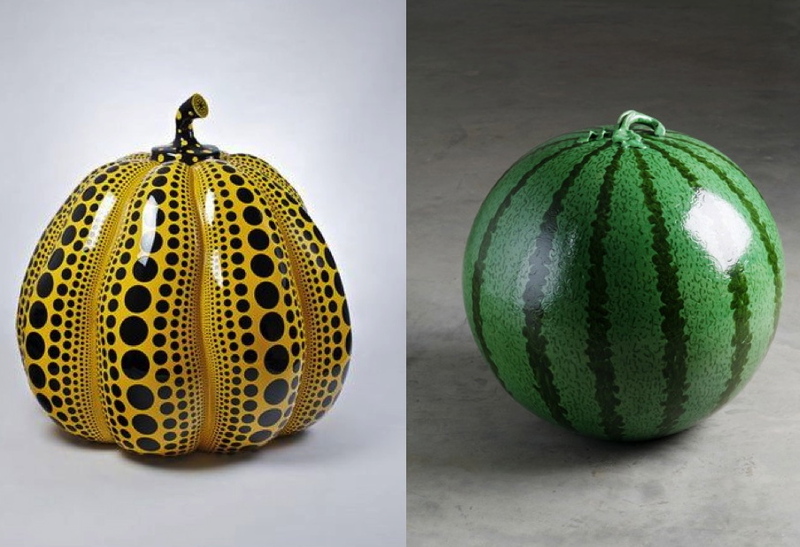 Wonderful artwork featuring fruits and vegetables: Yayoi Kusama's giant pumpkin installation from 1994 [left] and Ai WeiWei's porcelain watermelons from 2007 [right]... interpretation vs. verisimilitude.